Following on from the creamy splash from last week I decided this week to make a splash with some lemons instead. I don’t think it was as successful as last week but the end result was certainly more colourful. 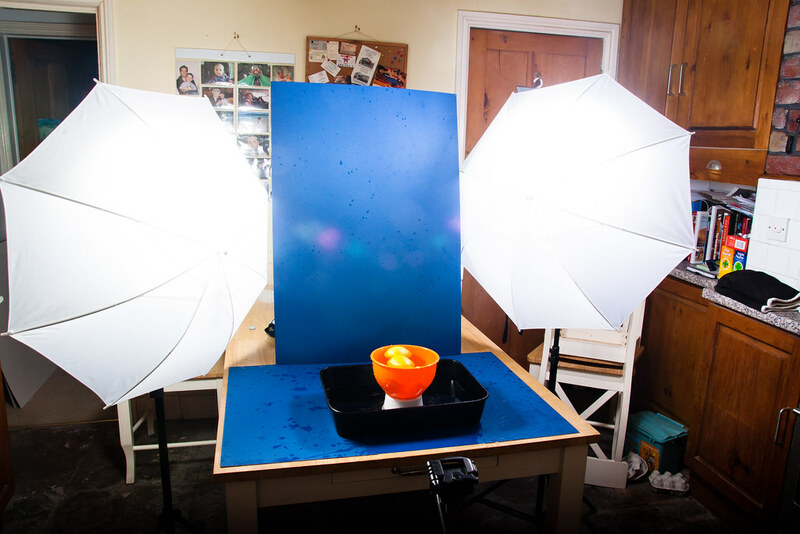 This was thanks to the blue background and orange bowl that I used to compliment the yellow colour of the lemons. 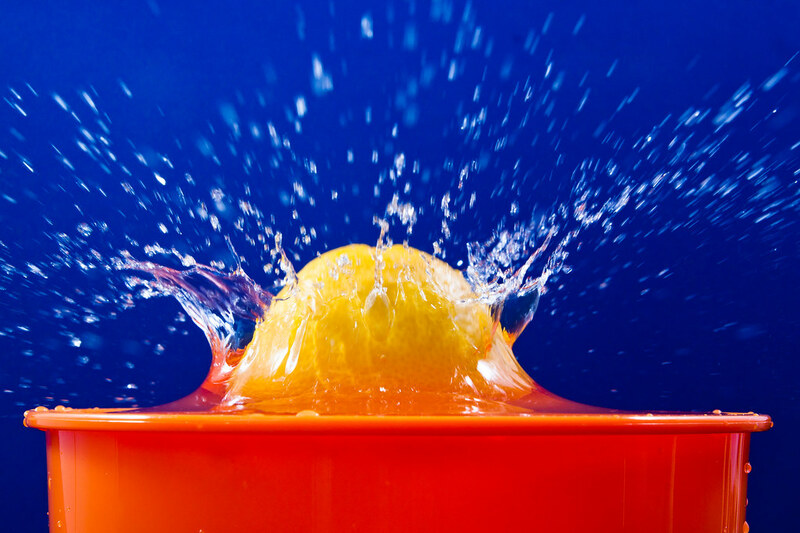 I dropped the lemons into water this week rather than cream in an attempt to cause more droplets. this was partially successful but I don’t think I managed to light the droplets as well as I’d of liked. 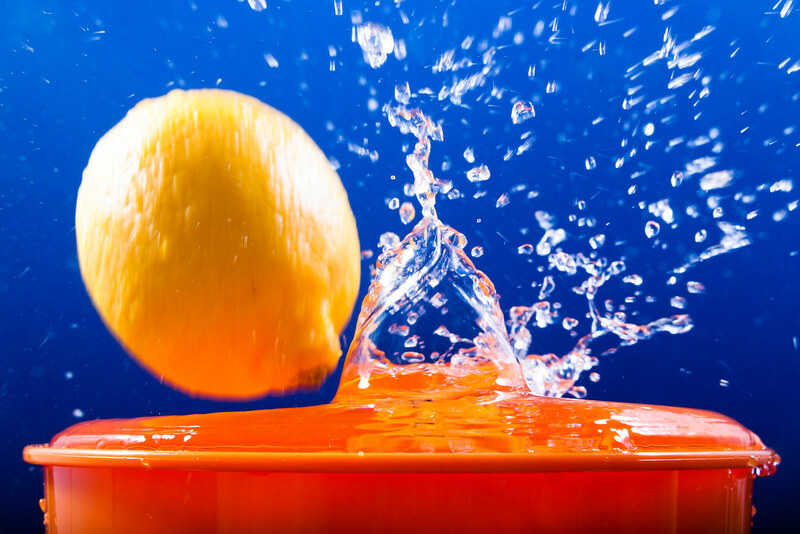 After any more attempts I created the first image at the top of this post where the second lemon followed the first lemon into the water more closely and both lemons caused a big splash. This image then becomes shot for week 13 of my 52 and is my entry this week for View 52. You can see the setup for these shots below. If you click on the setup shot you will be taken to flickr where I have added some notes to the photo explaining more details about the set up. © 2006-2013 Simon Butler. Powered by Blogger.